The cardiac muscle is one of the three main types of muscles found in the body. The others are skeletal muscle and smooth muscle. 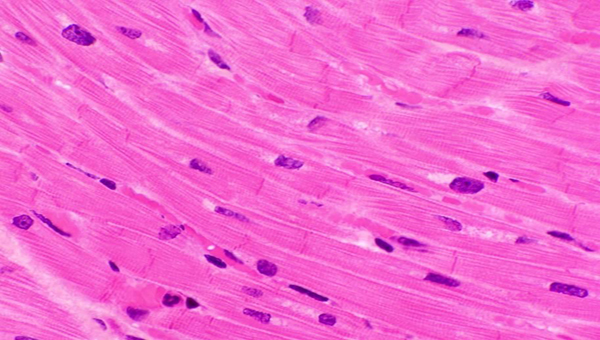 The cardiac muscle has a striated appearance similar to the skeletal muscle. The difference is that cardiac muscle is what makes up the heart. It is only found in the heart. It is also works involuntarily, similar to the smooth muscle. That means that you have no conscious control over its contractions. The heart literally has a set electric timer called the SA node that tells all the muscles in the heart when to contract. The function of the cardiac muscle is to contract continuously pushing blood to the lungs, and then to the rest of the body in order to keep body tissues oxygenated.